If you want to make profit trading forex, you need to be smart enough to leverage on potential opportunities. To do this, you need successful forex trading hacks. Part of it is knowing the right tools and strategies that can make trading easier and more successful. This guide discusses forex trading profit hacks that help you to make money consistently in the market. If you follow the tips and put them into practice, they’ll definitely improve your trading results! To succeed as a forex trader, you must, first of all, get organized and learn to practice self-discipline. You clearly need to know what you are looking for in the markets to be able to build an organized and disciplined trading approach around it. The Now Trader: The now trader prefers to trade the market quickly and get out. He wants to get in, get his pips and exit the market. Now traders commonly trade with smaller time-frames, spend less time everyday trading and capture smaller pip numbers but may trade more frequently. The In-The-Game Trader: These traders prefer to review the market every day, but take action that lasts long and aim to capture larger pip over a longer period of time. These groups of traders go for medium range timeframes and are cautious of reversals and analytical flaws. The Adrenaline Junkie Trader: These traders only trade once, or a few times every month following major financial news like quarterly or earnings reports. This group of traders mostly engages in swing trading. The Low Maintenance Trader: These traders follow the set it and forget trading approach. They trade with longer time frames by using trading strategies that help them win big over a long period of time which may last for many months. They only concentrate on safer trade choices that hold high-profit potential. Success in the markets is determined by how much control you have over your own trading habits. Knowing when to get in is important for making money, but knowing when to get out is equally as important when it comes to not losing money. Knowing when to exit the market is an important rule to have, but it should be one of many that you utilize when you trade. You should have many rules that cover everything from your winning and losing percentages, to how much you risk per trade and more. Emotion is one of the reasons your trade fails. To deal with your emotions, you need to set your trade and let it be till when it is completed. If you view the chart constantly, each time the market fluctuates you’ll drive yourself crazy. When the market reverses direction you’ll tend to want to pull out too soon or over-correct the position and end up losing more money. You need to get reliable trading software and have faith in it. To avoid overreacting emotionally, only look at the trade when you place it and when you exit it. Get to Know the Euro Open Strategy. The European session known as The London Daybreak opens at 3 AM EST, and this session is massive for traders because roughly 75% of the entire Forex transactions occur during this session. This is also when the market’s highest highs and lowest lows will occur. With the use of either your charting software or a market scanning tool, you ought to target the Euro session as your best time to trade. To achieve this there are a few things you can do, lets take a peak at them down below. You place a trade order and set your stop and discover that you are consistently being taking out just prior to your big win. The solution is to always set a stop loss. Stop-losses prevent you from losing all the money in your account in a single trade. You set a minimum number for the market to hit as soon as the market hits that number your trader would automatically exit on your behalf. As the market ebbs and flows, stop-losses get bigger. This volatility generates higher highs and higher lows, which could give higher profits to smart traders. Smart traders alter their stop-losses to reflect the market. How you can correctly use a fluid stop-loss number is to move the minimum number based on the market movement. Search for a high or a low that has two candlesticks to the left side and two candlesticks to the right which are higher or lower from that position. Forex trading goes on 24 hours and is made up of 3 major trading sessions: the European, U.S. and Asian sessions. The European session has the most movement, which is followed by the U.S. and lastly the Asian markets. Frequently, the market will reverse directions when one session ends and the other starts. By trading these reversals, you are likely to capture the most pips. Thus, if the European session is trending bullish, as soon as the American session starts to set in, it will start a reversal and the market will turn bearish. By using this strategy you can identify the reversal points, leverage on the market movement and know when a market high or low could happen. With 3 trading sessions occurring every day, there is the potential for 2 reversal positions every day. This implies that utilizing a single strategy can determine how you view three different markets. The control section is when the currency like the USD is on the left side of the slash of the currency pair – USD/CHF, USD/JPY etc. 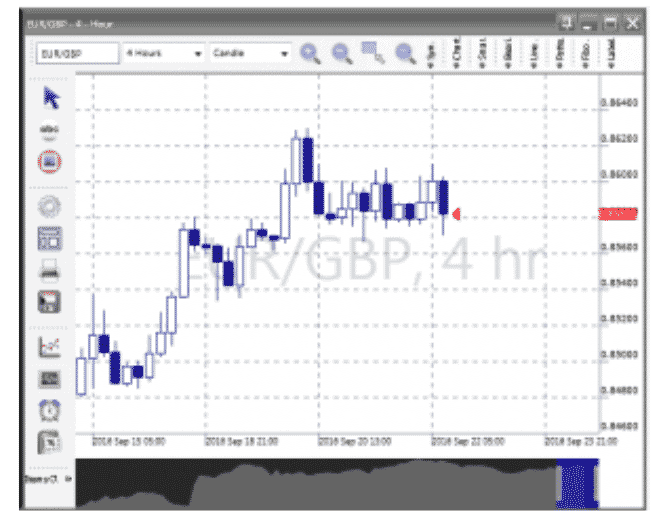 The pegged section is when your chosen currency is on the right side of the slash like EUR/USD, GBP/USD etc. The first step is to select a currency to concentrate on. As soon as you do it, you create your control and pegged baskets. The next step is to conduct research on your chosen currency. Then, based on your research, you will get information on how your currency performs against the currency it is paired with. You can trade both bearish and bullish move at the same time when you split the currency pairs into baskets. If for instance, you want to trade the USD and, based on your research, you’ve discovered that it is strong against the Swiss Franc, but weak against the Japanese Yen. You would create a basket trade that allows you to buy the USD/CHF pair, and sell the USD/JPY pair. This lets you trade bullish against the Franc and bearish against the Yen concurrently. Trading in baskets gives you the opportunity to make double gains. The solution to succeeding by trading in baskets is to conduct research on the currency you have chosen. You should start this by using your charting software and studying candlesticks. If a currency is growing in strength, you would check the charts to confirm the bullish uptrend. When the currency’s control of the currency pair rises, it has extra control. A great forex management tip is to never risk more than you’re willing to lose. The amount of money you risk must be what you can comfortably living your life without it. We advise you to limit it to merely 2-5 per cent of your trading account. 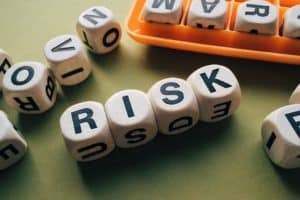 Before placing any trade, have it at the back of your mind that every trade comes with some risk. You will not always win. You’ll definitely lose at some point but the key is your ability to properly manage this risk to give you the chance to have money to trade again. If you are just beginning it is better to stick with trading risks of only 2 per cent of your trading account. You can increase it as you grow your experience but it must never exceed 5 per cent. 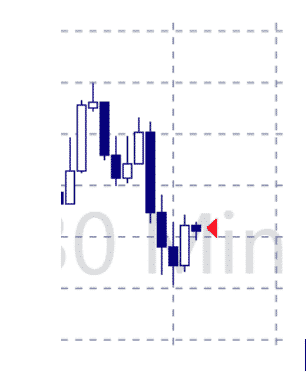 One of the trendier candlestick formations is the Head and Shoulders pattern. This occurs when a bullish trending market makes a peak and begins to retract. The problem with this candle formation is that the market will frequently overcorrect itself and you’ll take a huge loss before you know it. To avert this it is better to trade with The King’s Crown pattern. With the King’s Crown pattern, you are trading beyond the “shoulders” of the Head and Shoulders pattern. As soon as the market takes out a low of support, it tends to bounce back up before the market finally falls. Label your highest point on the chart as labeled ‘A” and label the previous high as the “left tip.” The left tip is significant because it informs us how high the market was trading earlier which signifies to us how low the market will trade eventually. Moving back to the A mark, you can draw a line from the fresh highest high to the new lowest low, the B position. Follow that trend to the next highest position to get to position C, and finally to the next low which is your “D”. In this instance, what you need to do is to buy when the market starts to rally after the D mark. You won’t lose your trade until the market goes beyond the D to reach the newest low. You know when this will occur because you know the value of the previous high before the start of the King’s Crown started (the left tip). In instances like this, what you are trading is not the neckline but the breaking point beyond the lowest low. This extra movement in the market lets you see the true indication of the markets and could minimize your future chances of making losing trades. This is a kind of indicator that tells you when the trend was going away to save you from trading mistakes and huge losses. 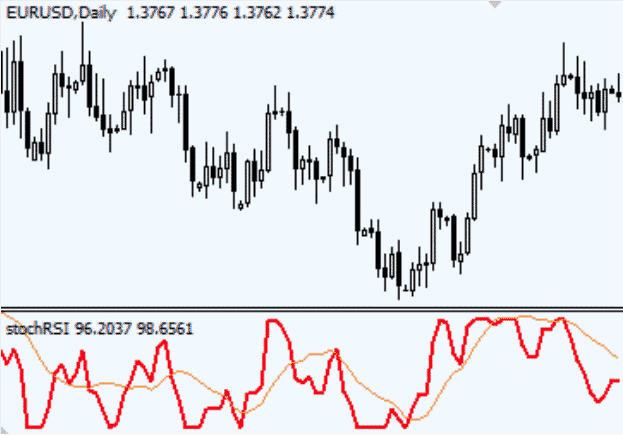 The Stochastic RSI could serve as your key to trading. It consists of two lines that act as a yardstick to measure when the market is about to reverse. This is referred to as the “buy zone” and the “sell zone”. If a currency is traded too much in the buy zone, it will breach that line and start to trend down. If the currency is trading too low in the sell zone, it will breach the line and begin to trend in an upward direction. These set of tips help you to increase your chances of making winning trades. Each of the tips is a good tip on its own, but when you merge the three together, you’ll have a powerful tool to make your trading a huge success! 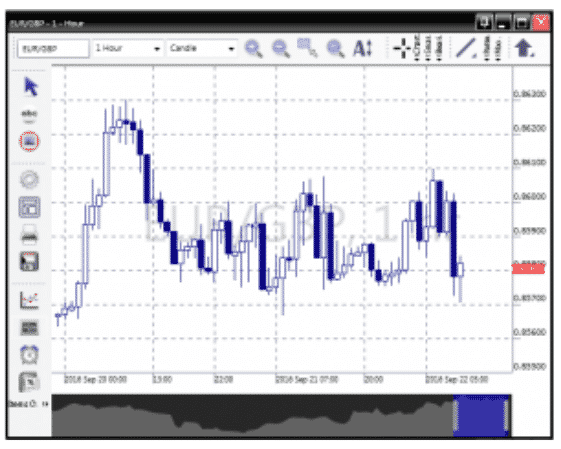 Candlesticks are utilized in the forex market to determine high price and low price. They are as well used to figure out the direction the market is trending. A collection of candlesticks is referred to as a candlestick formation and depending on their direction and how they relate with each other, they can tell different stories regarding the market. A few candlestick formations you need to consider include the Bullish Morning Star, the Bullish Piercing Line, the Bearish Engulfing Candle and the Bearish Tweezer top. Each of these candle formations indicates a market direction and makes a unique connection between the candlestick and its wick. Discovering these formations on time helps you to get into the market at the right time before a serious movement and boosts your profit potential. Too many strategies overstretch and confuse your mind and make you end up losing out on potential profits. 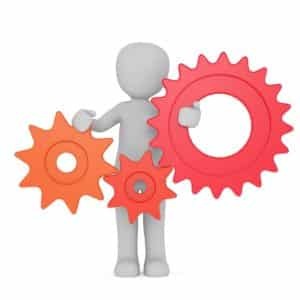 Why you need to stick with three strategies is because there are three types of market movements, and it assists to develop a strategy for trading each of them. and one strategy for trading sideways movement. Developing a reliable strategy for each of these market situations prepare you to trade the market when the condition arises. You should always trade with more than one-time frame. This is because time frames work interconnected with each other with each having an effect on the other. Patterns that appear in long-term trades manifest in short-term trades, and vice versa. For instance, when you want to enter the one-hour chart, you’ll begin by analyzing the 4-hour chart or higher time frame’s chart. The rule of thumb is to constantly have your alternative larger time frame be at least four times the size of your original time frame. Just as the smaller time frames have effects on the larger ones; the larger ones also affect the smaller time frames. Observe the way the market began to trend bullish before it finally evens out and trades sideways. The same thing happened. The markets began to trend bullish and gradually evened out and started to trade sideways. By discovering the larger movement, traders can easily determine when the market’s tides are preparing to alter to make a complete move in a single direction contrary to the natural, wave-like fluctuations that are typical of the sideways market. So there you have it. 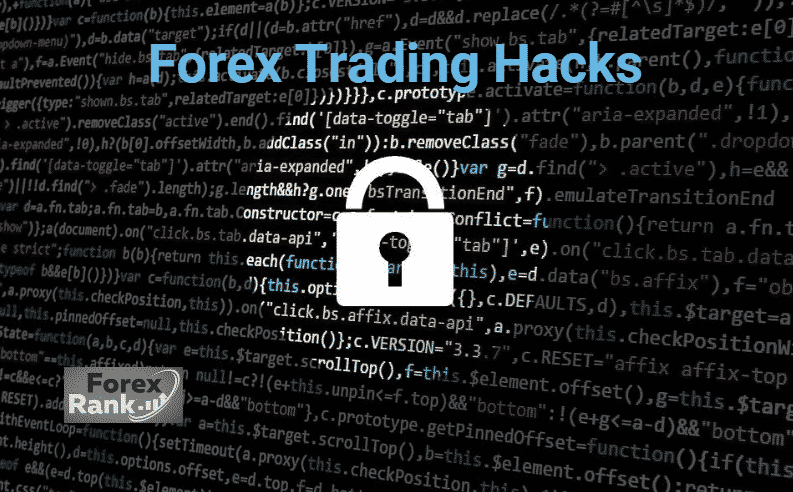 5 Forex trading hacks that can help you achieve profits in the foreign exchange market. Know any forex hacks/tips that we have missed? Comment below, we would love to hear them!